During counseling sessions couples often ask me some version of this important question: How can we get back on track after a disagreement and build a strong relationship that lasts a lifetime? 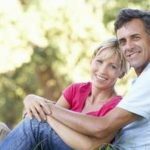 Typically, I explain that conflict is an inevitable part of an intimate relationship and that one of the main ingredients of a healthy, long-lasting partnership is making a commitment to repair hurt feelings and bounce back from arguments fairly quickly. In over 40 years of research in his classic “Love Lab” studies, Dr. John Gottman discovered that the number one solution to marital problems is to get good at repair skills. He explains that repair attempts allow a couple to get back on track after a dispute and are an important way to avoid resentment. In The Seven Principles for Making Marriage Work, Dr. Gottman describes repair attempts as the secret weapon that emotionally intelligent couples employ that allows their marriage to flourish rather than flounder. A repair attempt is any statement or action – verbal, physical, or otherwise – intended to diffuse negativity and keep a conflict from escalating. Couples who discuss concerns in a timely and respectful way and adopt a “we’re in this together” mindset have a better chance of creating a happy long-lasting partnership. They are resilient and don’t let anger destroy the loving feelings and affection that brought them together in the first place. 1. Do not blame, criticize, or show contempt for your partner. Talking about specific issues will reap better results than attacking him or her. For instance, a complaint is: “I’m upset because you didn’t tell me about spending money on new clothes. We agreed to be open with each other and money is tight right now.” Versus a criticism: “You never tell me the truth. How can I trust you?” Avoid defensiveness and showing contempt for your partner (rolling your eyes, ridicule, name-calling, sarcasm, etc.). 2. Start a conversation with a soft and curious tone such as, “Could I ask you something?” will lessen your partner’s defensiveness. Dr. John Gottman reminds us that criticism is extremely damaging to a marriage and that talking about specific issues with a soft approach will reap better results. 3. Avoid character assassinations. Don’t attack your partner’s character, values, or core beliefs. Remember that anger is usually a symptom of underlying hurt, fear, and frustration so stop and reflect on your own emotions. Listen to our partner’s side of the story instead of focusing on your counterargument. Validate their perspective first – then share your viewpoint. When you feel like attacking your partner, ask yourself: what am I trying to accomplish? 4. Don’t make threats or issue ultimatums. Avoid saying things you will regret later. Being vulnerable with your partner can make you feel exposed but it is an important ingredient in a trusting, intimate relationship. You may have created a psychological armor since childhood due to being hurt or judged but this might not serve you well as an adult. Be assertive yet open in your attempts to negotiate for what you want from your partner. Both individuals in a relationship deserve to get some (not all) of their needs met. 5. Approach conflict with a problem-solving attitude. Avoid trying to prove a point and examine your part in a disagreement. Listen to your partner’s requests and ask for clarification on issues than are unclear. Discuss expectations to avoid misunderstandings. Engage in a conversation with your partner that is productive rather than shutting down or criticizing him or her. 6. Take a short break if you feel overwhelmed or flooded. This will give you both time to calm down and collect your thoughts so you can have a more meaningful dialogue with your partner. Author David Akiva, encourages couples to develop a Hurt-Free Zone Policy which is a period when criticism is not allowed between partners. Without it, couples usually feel less defensive and as a result, feelings of hurt and rejection dissolve within 3 to 4 weeks. 7. Practice having a recovery conversation after an argument. Daniel B. Wile, Ph.D. believes that your focus needs to be on listening to your partner’s perspective, collaborating, building intimacy, and restoring safety and good will if you want to develop good repair skills. A recovery conversation can reveal information about your relationship, lead to a resolution of the fight, and restore intimacy. It’s best to wait until both partners have calmed down before starting it and to be careful not to rekindle the fight. If you stay focused on the present this will prevent rehashing an argument. Be sure to give your partner the benefit of the doubt. Instead of focusing on your partner’s flaws try spending your energy fostering a deeper connection. Avoid building a case against your partner. Instead, express positive feelings and gestures of love often and become skilled at demonstrating acceptance and gratitude in your words and actions. Dr. Gottman advises us that couples can live with unsolvable differences about ongoing issues in their relationship as long as they aren’t deal breakers. His research informs us that 69% of problems in a marriage don’t get resolved but can be managed successfully. Most of the time, you’ll restore intimacy during times of conflict or stress by being honest and vulnerable with your partner. Adopting these skills takes time and patience but will help you recapture the love, trust, and intimacy you once experienced. Terry would love to hear from you if you have any questions or comments. To find out more about her research, order her book Daughters of Divorce: Overcome the Legacy of Your Parents’ Breakup and Enjoy a Happy Long-Lasting Relationship.